Well it's murdered out, lifted 6", on 37 inch tires. It's a great truck with the 7.3 liter diesel in it, got a chip, intake, and exhaust on it, and it moves plenty for my taste. In those words, I love it = ]. 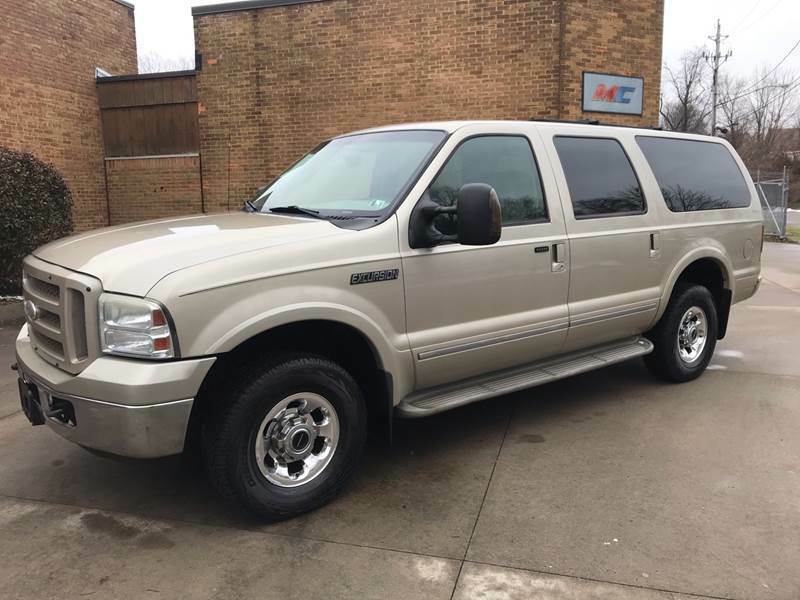 Sorry, we couldn't find any Ford Excursion listings that matched your search criteria. Here are Nationwide listings for a Ford Excursion. 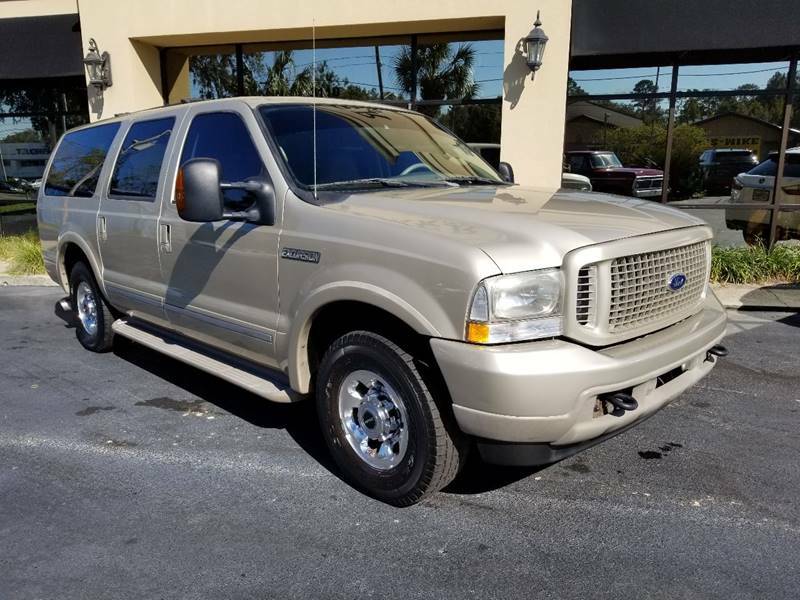 Here are our listings for all model years of the Ford Excursion. 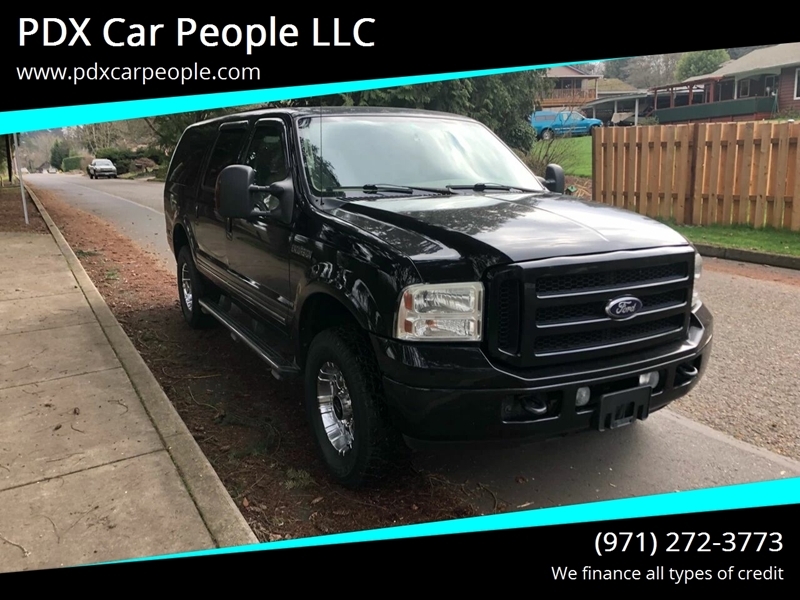 You might be interested in these similar years for Ford Excursion. Avg. Dealer Rating: (6 reviews) "Vehicle I was interested in sold before I could get there. I therefore have no basis to rate them other than i recieved a response to the email"
Avg. Dealer Rating: (9 reviews) "They sold the truck while they were getting ready to get me financed. Deal was made waiting on the bank to call me." Avg. Dealer Rating: (11 reviews) "Horrible. Requested information on a specific vehicle and was provided information on 2 other vehicles. They ran my credit on a car I did not ask them about. The salesperson yelled at me over the phone. Manager called to apologize. The finance guy text me to call him. I called twice no answer. Then I called the office and was told he would call me in 10 minutes, it has now been 4 days. Also sales person just makes stuff up. I asked why a BMW was driving so stiff. He told me because it was so powerful. He told me it was a M series, it absolutely was not a M series. " Avg. Dealer Rating: (43 reviews) "I recently did an application with this dealer, even had a co signer. Waited all day no response. I did a follow up call and was told it would be Monday, I never heard back but received an email about an inquiry on the vehicle. I assume the dealer didn’t know I was the same person who came in and did an app. I then told him who I was and he said I needed a co signer. I reminded him my mom co signed on my app but never heard anything back. I would not recommend anyone here. Thanks "
Avg. Dealer Rating: (2 reviews) "Taya is very professional--a great resource when you're looking for a car! I will keep her card handy for future needs. Low overhead, and extremely professional--great way to buy a car. I was very happy with the process...."
Avg. Dealer Rating: (15 reviews) "Very friendly and helpful!" Avg. Dealer Rating: (6 reviews) "Amazing staff, very helpful and caring. The staff is very welcoming and able to help with any needs. Dante was amazing and helped me through the whole process. Definitely would recommend anyone who needs a car to see him and the employees at DCH! " Avg. Dealer Rating: (18 reviews) "Very friendly staff. Very nice car. Would definitely buy when I’m ready." Avg. Dealer Rating: (4 reviews) "Was contacted within an hour of me contacting this dealer. Looking forward doing business with tbia dealer"
Avg. Dealer Rating: (19 reviews) "I looking forward to do business with you guys"
Avg. Dealer Rating: (10 reviews) "very good...contacted me so I could view vehicle THANK YOU"